A few days ago, a colleague of mine pointed out to this site which shows a Bing Maps usage within XNA game. To solve it, I decided to use a different approach for XNA – download image tiles and present them in XNA game. Let’s get started. First, in order to use Bing Maps API you need a Bing Maps Account and Application Private Key. The Bing Maps Account Center allows you to create keys to use the Bing Maps Control, Bing Maps SOAP Services, Bing Maps REST (representational state transfer) Services and Bing Spatial Data Services. If you already have a key for using Bing, you may skip next few lines . Open your web browser and go to the following address: http://www.bingmapsportal.com. Click Create to create a new Bing Maps account using your Windows Live ID. On the next page, fill in your details. Once you’ve agreed the terms and registered and/or signed in, you may choose to create a new key for your application. Click the “Create or view keys” link on the left. On the next page fill in your application details and click Create Key. Below, you’ll see your new private key. Save this key, you will use it later. Now let’s do some coding! I decided to create very simple XNA game, which uses Windows Phone 7 location services (on the device) or hardcoded location (on emulator). The game will query Bing maps services and display the received map on screen. In addition I added my XBOX Live avatar to the center of the map – this will simulate a game process. Lastly I decided to add simple Zoom In/Out controls too. Disclaimer: this sample is not an XNA tutorial. To learn about 2D game development with XNA game studio 4.0 for Windows Phone 7 please refer to great tutorial (which I had a great honor to be an author ) at new MSDN Apps Hub site (http://create.msdn.com/en-US/education/catalog/lab/catapult_wars). My game will start with loading some assets at LoadContent function – it will load a font to draw text on screen, default background (to fill the screen while first map tile still downloading) and ZoomIn/ZoomOut images. The GeoCoordinateWatcher will be used to observe location changes on the device; once location changes it will be retrieved to the GeoCoordinate variable. Since Bing Maps uses scale between 1 and 22, I have to scale my textures accordingly. baseScale variable is 1/22 in order to enable easy scale calculation. bingAppKey is a private key received at step 6 during registration process. The code snippet is pretty simple, yet requires some explanations. In XNA the on-screen object location and its Z-Index depends on draw order during the Draw function. In order to start drawing the function should Begin a sprite batch rendering process and End it after all objects are drawn. First, the function above draws a background texture which currently will be a “Nowhere” image and will be replaced by the map once it arrives from server. Next, if map already downloaded it will call to helper method to draw zoom controls at known fixed positions. This assures, that zoom texture will be paced above the background (Z-Index is higher). After then, if the player’s image (remember – it will be my XBOX Live Avatar) arrived, it will display it at the center of the screen scaled accordingly to the map scale. Lastly, it will display “Loading” text if the map is not loaded yet or zoom level changed and map image being updated. To get map images I will use a WebClient class (same one which used also in Silverlight applications on Windows Phone 7). For more info about version, Imagery, Metadata, etc. please refer to the Bing Maps APIs documentation. SCALE will be replaced by current scale and MY_BING_MAPS_KEY by my private key. On the device also LATITUDE and LONGTITUDE will be replaced by values reported by Windows Phone 7 location services. watcher = new GeoCoordinateWatcher(GeoPositionAccuracy.High); // Use high accuracy. watcher.MovementThreshold = 20; // Use MovementThreshold to ignore noise in the signal. The code snippet above check the Environment variable in order to understand where it is being executed. Note: this is not System.Environment available for all .NET applications, but Microsoft.Device.Environment specific to Windows Phone apps. If the device is actual device (Windows Phone 7 hardware) the code snippet initializes GeoCoordinateWatcher and subscribes to StatusChanged events. Once the status turns to “Ready”, the code snippet gets current reported location and requests a map image using WebClient. It uses reported Longitude, Latitude and current zoom level; in addition it provides Bing Maps private key. If the device is emulator (and GeoCoordinateWatcher will never return meaningful value), the code snippet uses WebClient to request a map centered at some landmark – in my case Eiffel Tower. In both request WebClient passes desired image size 800×480 to match Windows Phone 7 landscape resolution. 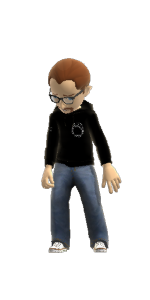 Lastly, it uses another instance of WebClient to download my XBOX Live avatar. Last parameter in all OpenReadAsync calls is a state object I’m using to identify which image is arrived. From here the process is simple: add some real game logic, animations, some Bing Maps pushpins (using sample Bing Maps APIs), respond to drag/pinch gestures and voila – the XNA game for Windows Phone 7 with Bing Maps integrated is ready! Completed sample hosted here. Note: you will need a Bing Maps Application Key to run it. To see more of XNA 4.0 with Windows Phone 7, PC and Xbox 360 visit my session “XNA Studio 4.0: Code Once, Play Everywhere! PC, Xbox, Phone” at TechEd 2010 Israel/Development Tools & Technologies track. In this session you will see how to build the real world computer games running on all platforms together! Stay tuned for more come! Gracias por la crítica sensata sobre blogs.microsoft.co.il. Yo y mi vecino se acaba de preparar para hacer una investigación al respecto. Tenemos un robo de un libro de nuestra biblioteca local, pero creo que he aprendido más de esta entrada. Estoy muy contento de ver la información tan grande que se comparte libremente por ahí. Estoy muy agradecido por todo el mundo de la lectura informativa de blogs.microsoft.co.il. Yo, ciertamente, se extenderá la frase acerca de su sitio con la gente. Saludos. “Maybe that’s all nonsense, who knows. They will definitely stop the hesitation and days of procrastination that have been preventing you from covering your smartphone. She was ‘discovered’ when Cond� Nast saved her from being run over in the street and offered her a job modeling for Vogue magazine.